Notes: 1868 - 1964. 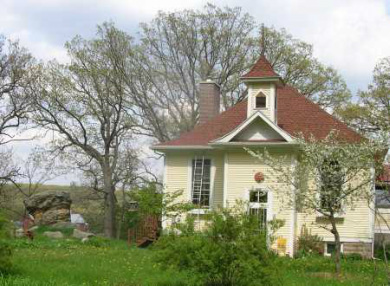 The school was built in 1868. Early teachers included Aaron Denney and Jane Simpson. The building was replaced in 1924. A Mother's Club was organized in 1941. In 1964 the school combined with Mt. 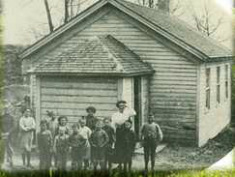 Horeb District and became the last school to close in Vermont Township. 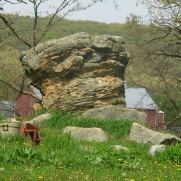 Its name came from a large rock formation next to the school that looked like an upside down elephant's foot. 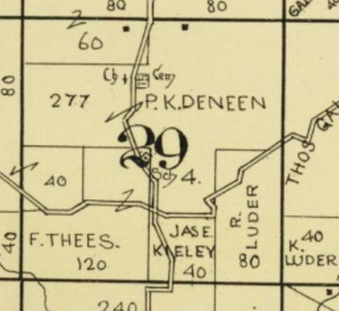 It was also known as Deneen 2nd School. The building was sold and is now used as a home.